Orange Mountain Music presents the original motion picture soundtrack to the this delightful and surprising documentary is a voyage discovery about the existence of love between animals in the wild. The film takes us to the four corners of the globe, exploring the behavior and amusing displays of love among dozens of species in the animal kingdom from the most well known to the most reclusive. 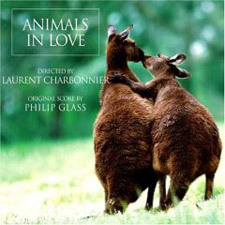 ANIMALS IN LOVE is a family film set to an original score by Philip Glass. This film, with its exceptional imagery, is a whirlwind of emotions reminding us of the passion that has guided the natural world since the dawn of time. Directed by Laurent Charbonnier.